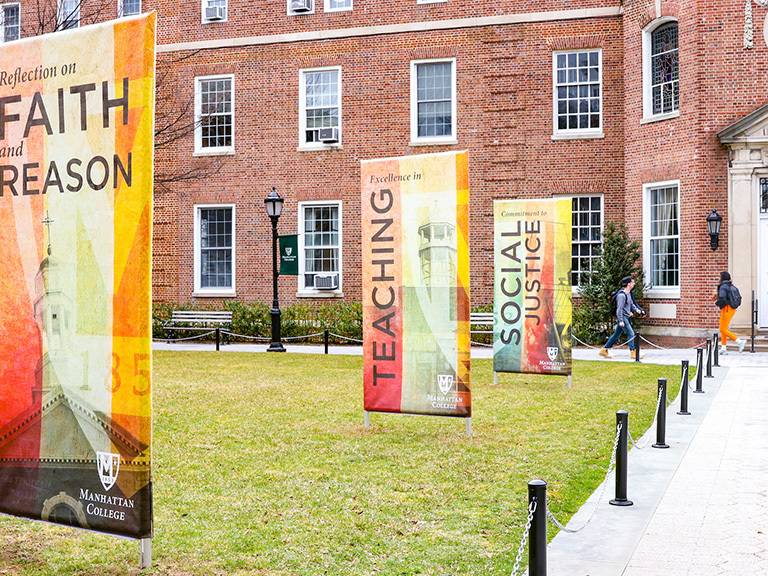 On May 11, William Bisset, Ph.D., Manhattan College’s Vice President for Enrollment Management, received the Lasallian Medal for his dedication to La Salle Academy in New York City and embodiment of the spirit of St. John Baptist de La Salle. 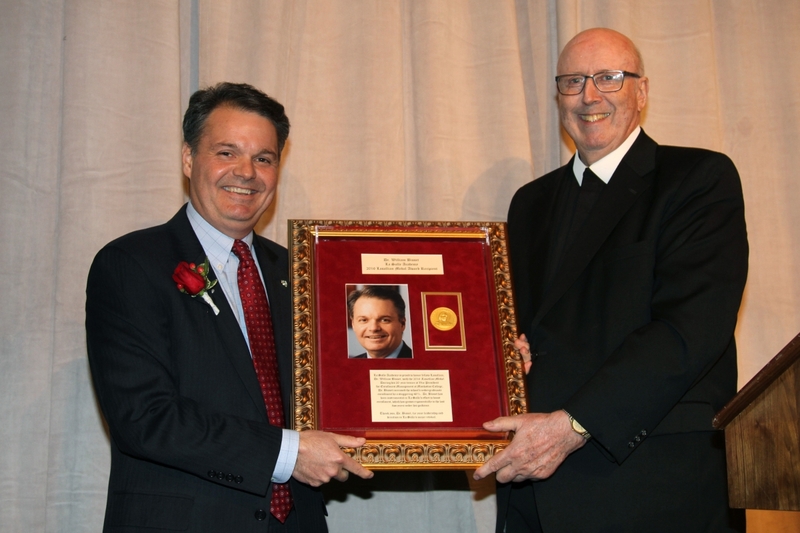 Brother Thomas Scanlan, FSC, the former president of Manhattan College and a member of La Salle Academy’s Board of Trustees, presented the award to Bisset. Each year, La Salle Academy recognizes individuals who are committed to the school and community. 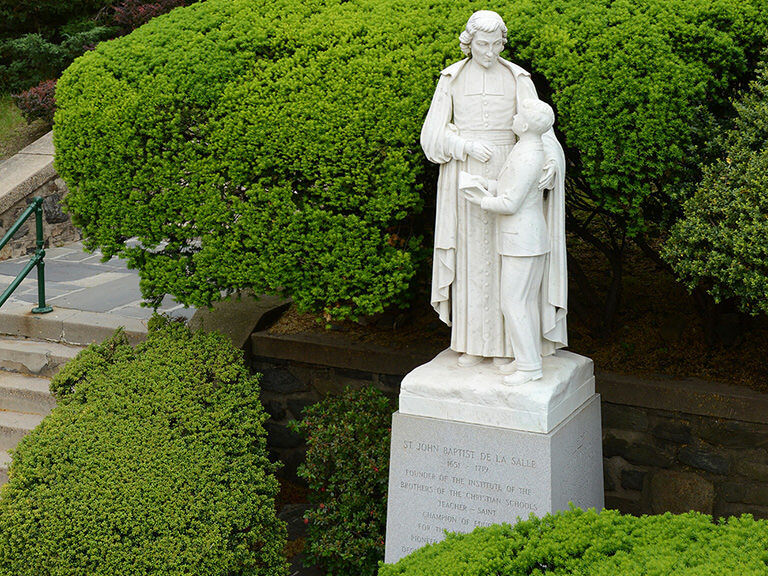 The Lasallian Medal has been awarded to a select group of individuals every year since the 1980s. The medal awarded to Bisset is La Salle Academy’s highest honor in recognizing an individual’s dedication to the institution and its mission of outreach to those in need. 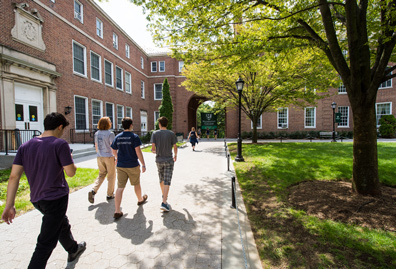 Bisset has been a part of Manhattan College’s admissions staff since 1997. 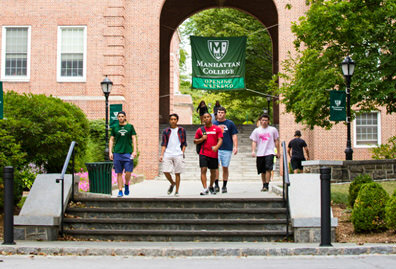 Since Bisset took on the role of Vice President of Enrollment Management in 2004, he has helped to increase Manhattan College’s applicant pool by 94 percent. 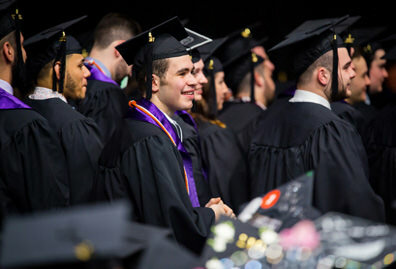 The College’s undergraduate enrollment has increased by 35 percent and the quality of the entering class has improved by an average of 180 SAT points. 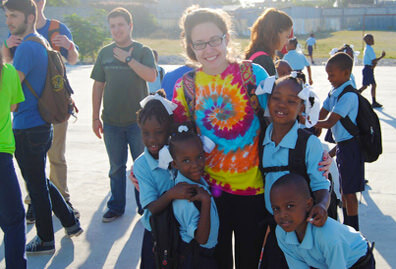 Bisset was also instrumental in collaborating with the CollegeBound Initiative (CBI) since 2011. CBI is a school-based college guidance program that helps students in inner-city public schools reach their potential and attend college. 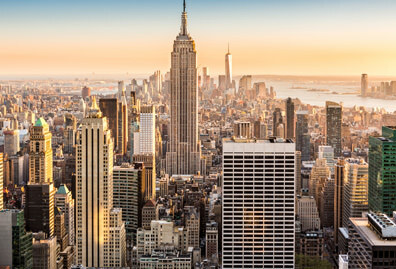 The partnership represents the College’s commitment to educating first-generation college students rooted in Manhattan’s Lasallian Catholic traditions.